Not sure what type of contact lenses is perfect for you? Do you want to know how you can easily decide on the best contact lenses? Below, we’ll get to answer these questions in detail by highlighting 14 types of contact lenses. If you have eye or vision problems, chances are you are or have thought of using contact lenses. While it might seem easy, deciding on a type of contact lenses that’s right for you is challenging. Add the number of contact lenses available in the market today and it quickly becomes a daunting process. It is with this that we’ve opted to share with you this post. Today, we’ll look at 14 types of contact lenses that are commonly in use today. Once you are done reading this post, you should be able to decide with certainty which lens is best for you. Soft contact lenses are very popular today and for good reason. For starters, they are created using the latest optical technology. What this does is make them more breathable, flexible and most importantly comfortable. In other words, you can wear them for long hours without any restrictions. Furthermore, they do have an adaptable design making it compatible for just about everyone. Another reason why it’s popular is its pattern. Compared to other lenses, soft contact lenses have more freedom. Another plus associated with soft lenses is the ability to wear them sporadically. This makes switching between them and glasses easy with no fuss. For clear vision at all distances, bifocal and multifocal contacts make for ideal prescriptions. There are several features that make this particular contact lens stand out. For starters, it boasts hybrid lens. Its also made using soft or rigid gas permeable materials. Most of its benefits are on its use. With a Bifocal or Multifocal lens, you wouldn’t have to worry about maintenance. Why? Well, you can wear it on a disposable basis. What this means, in particular, is that you can wear them at certain times. This can be a day, week or month. So who wears this type of contact lenses? Well, people who have presbyopia. What is presbyopia you ask? 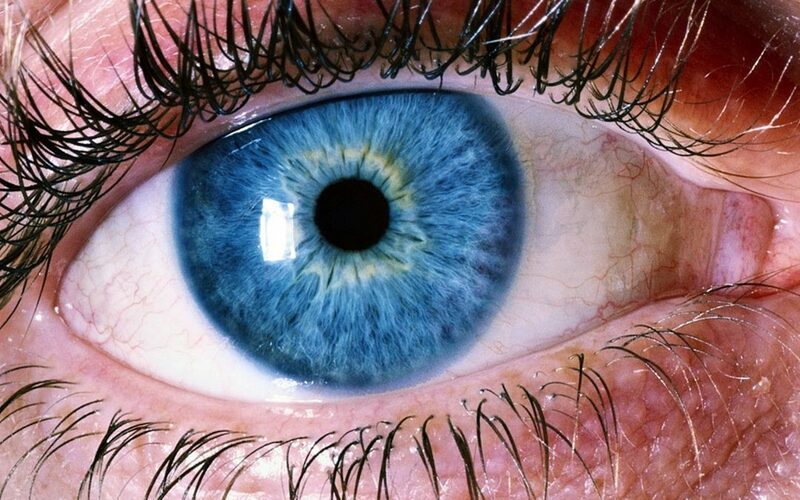 It is an eye condition that develops as we get older. In most cases, presbyopia is noticeable once you’ve turned 40. A person with presbyopia finds it difficult seeing clearly thus the need for contacts to offer clear vision. It also used by people who have refractive errors as it offers clear vision. Also known as GP, Rigid Gas Permeable or hard Lens, Gas Permeable contacts have numerous benefits. One such benefit is its use. These eye contacts can be created to perfectly match a number of eye types and prescriptions. Furthermore, they are more durable if compared to soft lenses. While just about anyone with eye problems can go for gas permeable contacts, they are perfect for three types of people. One, they are good for individuals with astigmatism. This is due to the fact that they do have rigid fitted lens. Two, they are perfect for individuals with eye conditions that cause irregularities in eye shape. Lastly, they are ideal for people who wear soft lenses and still don’t have sharp visions. As the name suggests, these soft contact lenses can change the colour of your eye. If you were to go for this option, you’ll note that they come in a number of shades and colours. That said these contacts are normally purchased to match an existing prescription. There are mostly purchased by people with long or short-sightedness. Finding coloured or cosmetic lenses for eye problems like presbyopia or astigmatism is difficult. This, however, doesn’t mean that you can’t find one. If you would like cosmetic contacts with such conditions, it’s advised to speak with your optician. He/she will be able to assist you accordingly. These contact lenses are also a top choice for people with no eye problems. These individuals choose to wear them for purposes of looks. This is why they are sometimes referred to as cosmetic contacts. If you would like to purchase it looks, ensure you go for a power/sphere of 0.00. You can search for this crucial information in the prescription. All in all, always remember to check with an optician before putting on any contacts. Also referred to as dailies, Daily Disposable contact lenses are very popular in the market. As the name suggests, you can only wear these eye contacts for one day. This means you wouldn’t need additional eye products like lens solutions for maintenance purposes. Despite this benefit, some users are known to experience or have dry eyes when using them. If you happen to be one of the people affected with dry eye consider carrying eye drops with you. These types of contacts are perfect for people with a busy lifestyle. With them, they aren’t required to clean or maintain them. They are also a go-to for people who don’t want to wear contacts often. They are also ideal for allergy sufferers. Due to it being used for a day, it is hard for allergens and dirt to build upon the surface. This type of contact lens is popular with people over the age of 40. Typically, people who are above the age of 40 years tend to develop an irregular cornea. This makes it hard for them to see objects clearly. With this particular lens, they’ll be able to see clearly at all distance. This ultimately removes the need of carrying or wearing reading glasses. Also known as costume or novelty lenses, special effect lenses are one of a kind. This type of contacts is very popular with individuals who are in the art scene. It’s also a go-to lens for many youths, especially those who love fantasies. Why? Well, this is mainly because of the fact that they allow one to channel his or her alter ego. With special effect contacts, one can be able to bring out a certain fantasy look in detail. These looks tend to range from vampires to cats. Prosthetic contact lenses are opaque soft lenses. They are basically eye contacts made to suit certain specific needs. In particular, they are custom-built to meet specific needs of an individual. These are people whose eyes have been affected by either an injury or a disease. A Prosthetic lens will be able to mask eye disfigurement by matching the appearance of the other eye. This way, one won’t be able to tell the difference between your eyes and the lens. People who’ve had eye injury are the ones who are likely to use these eye contacts. In addition to helping restore eye vision, it makes them look identical. If you happen to have presbyopia and prefer an alternative to bifocal lenses, Monovision contacts are perfect. With Monovision, make sure you first contact an eye care practitioner. He/she will be able to perform for you a Monovision contact lens fitting that’s right for you. That said, a good number of individuals who use Monovisions have presbyopia or difficulty with clear vision. If you are not a good candidate for bifocal lenses, Monovision offers a perfect alternative. It’s good to also note that there are variations of Monovision contact lenses. The two common ones are mini-Monovision and Modified Monovision. Depending on your needs, an eye expert is most likely going to prescribe either one of these two. These particular eye contacts are a very popular choice with many people who wear contacts. This is mainly due to its durability. With extended wear eye lenses, you can wear them continuously for an extended period of time. This period is usually more than the normal 30 days. Additionally, these contacts are low maintenance. If you are wearing them, you don’t have to take them out when sleeping or even showering. So who exactly uses these contact lenses? Well, individuals who are constantly on the go. It is also perfect for individuals with eye problems and searching for low maintenance contacts. Of importance to note is that these lenses are made from silicone hydrogel. This latest advancement allows more oxygen to reach the eyes surface. This ultimately goes to make them exceptionally breathable. Silicone Hydrogel contacts are another popular lens for those seeking a clear vision. With it, however, you get something the other contact lenses don’t offer in such quantity. So what I am talking about? Well, oxygen. Silicone Hydrogel lenses allows a good amount of oxygen to pass through and reach the cornea. Compared to regular hydrogel lenses, it allows up to 5 times more oxygen to pass through and reach the cornea. These types of contacts are ideal for just about anyone. A plus with Silicone Hydrogel lenses is the amount of oxygen it allows to pass through to the cornea. This helps in reducing soft lenses made using hydrogel substances problems. You can trace a majority of these problems to hypoxia. Orthokeratology might be a new term too many given that it’s relatively new in the market. So what is it? Well, it is a lens that offers the possibility of correcting eyesight without having to undergo surgery. Furthermore, it helps reduce dependency on contact lenses and glasses alike. Orthokeratology is a process of fitting gas permeable lenses. These Ortho-k lenses are specially designed for wear during the night. While asleep, it helps reshape your eye’s front surface or cornea. When you wake up the following day, you’ll be able to see clearly without glasses or contacts once you take them off. These lenses are ideal for those looking to correct refractive errors. These include but not limited to nearsightedness, hyperopia and astigmatism. One can as well use it to reduce how fast childhood myopia progresses. These are gas permeable (GP) contact lenses that are slightly larger in size (diameter). With this diameter, this lens perfectly covers the cornea. Once on, these contact lenses replace the function of an irregular cornea. The smooth optical surface it creates or offers helps in correcting vision problems. So what type of eye problem does it tackle? Well, problems caused by keratoconus. People who use this type of contact lenses have keratoconus related eye problems. It is also of great use to anyone who has corneal irregularities. Do you need help settling on the right contact lenses? Look no further than Salisbury Optometrist. We do have a team of eye expert who are always happy and willing to assist you. You can contact by dialing 08 8285 7100 or 0433 510695.